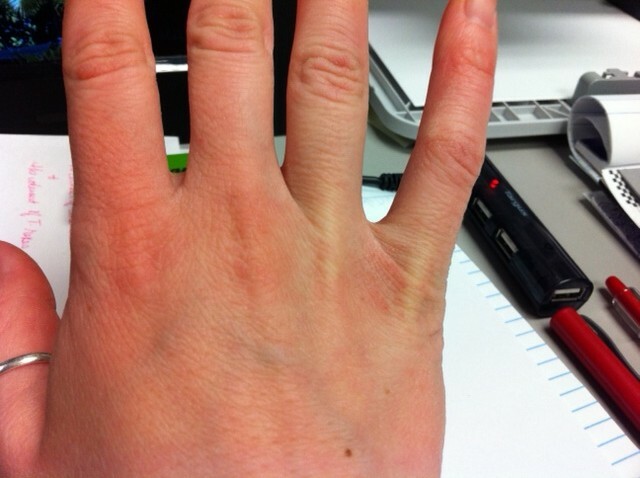 I know we are heading into spring but for some reason just now my hands have started drying out like crazy. They changed the soap at work and I almost wonder if that hasn’t had a little effect on them, but I’m not sure. I’m not real crazy about lotion. 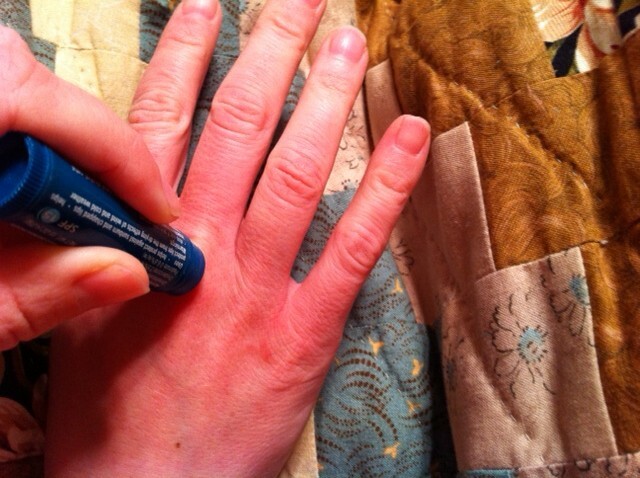 It always makes my hands feel oily and slick. Just not a feeling I’m real crazy about. But a few years ago I was desperate. And wouldn’t you know, I couldn’t find any lotion, oddly enough even though I don’t like it, I buy it… but couldn’t find any that night. What did I find that night though? Yes, my lovely friend, Chapstick. I’m telling you my hands hurt so bad that night I was desperate. 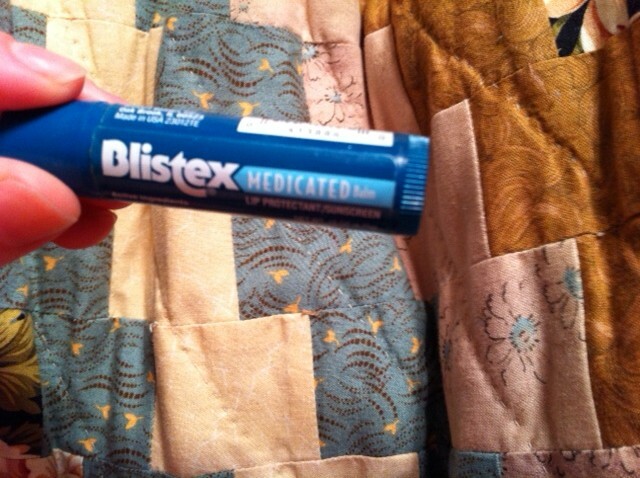 So I thought, you know, it’s good enough for my lips and helps them when they hurt… it couldn’t hurt to use on my hands right? Let me tell you… I’ve been hooked. It stays on my hands fairly well, doesn’t leave them feeling slimy. And it makes my hands soft, just like my lips. Again, you can’t quite tell and my knuckle over my pinky still looks bad, but it’s the one that cracked open so it looks much better. Plus my hands are super soft. ← The One Where I Show You More Pictures…. It's fortunate that you found something that worked. I would have been complaining to management if my hands had looked like yours after the change. I've never thought of using chapstick! It's so dry where we live and my skin still hasn't adjusted even though we've lived here for almost 2 years. Never would have thought that. 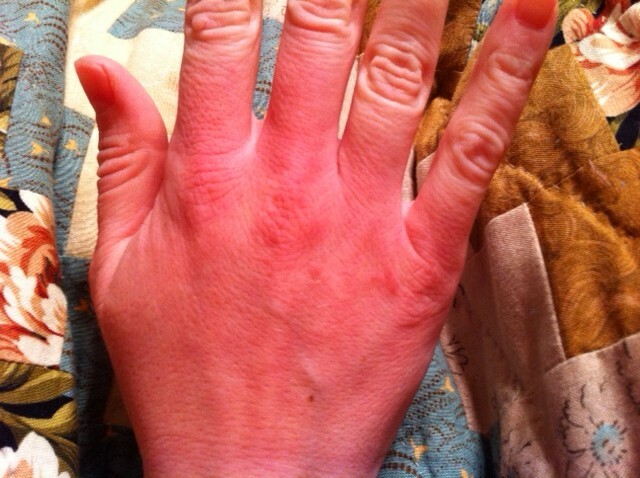 Your poor hands were so red!